What happens to your old TV when you are done with it? It turns out, not much. If you’re like most of the blog’s readers, you have gone through several TVs in your adult life. You may have started small, with only what you could afford, and perhaps by the 1990s you graduated to a very large tube TV or projection unit. As the 2000s rolled along you might have paid way too much for an early flat TV, and perhaps you’ve recently upgraded to 4K, HDR, or something else. You’re a “good guy” so when you can, you recycle. In some states, it’s the law: televisions and other electronic devices can’t be put in landfills. So you go to a recycling event every so often and drop off your old gear. A couple of times a decade, this includes a TV. You go to sleep at night just knowing that the cadmium, zinc, lead, arsenic, mercury and other toxic elements from your electronics are nowhere near your drinking water. So you sleep well at night, right? Prepare to give that up. According to a fairly disturbing article at Motherboard, a lot the 700 million TVs made in the last 35 years are just sitting in warehouses because no one can figure out how to recycle them cheaply. That’s right. 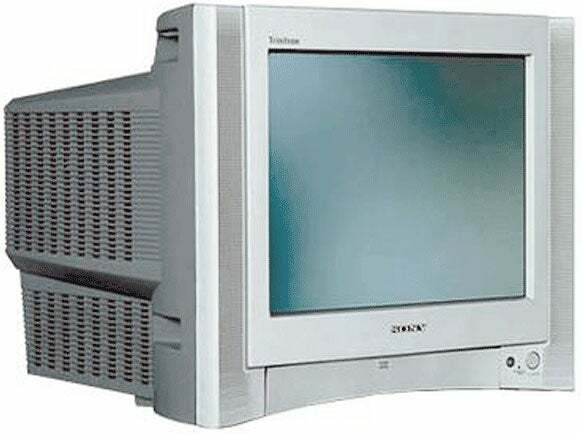 Remember how you spent most of the first half of the 2000s trying to explain to people how to pronounce the model name of your Sony WEGA TV? That TV could be in a warehouse in Columbus, Ohio, RIGHT NOW with thousands of other unwanted tube TVs with silver cases. Sweet dreams, sunshine. 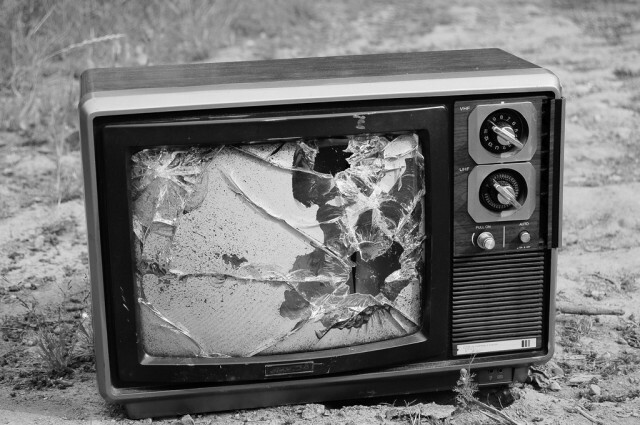 Recycling old tube TVs is dangerous, time-consuming, and toxic work. Some of the larger contractors thought at one point they could use a process to melt the toxic chemicals out and separate them easily from the glass and plastic. Turns out that isn’t as easy as anyone thought, so millions of TVs are sitting in poisonous piles waiting for someone to go at them with screwdrivers, wrenches, drills, and hammers. You know there are still going to be millions of partially disassembled TVs out there when the robots rise up and take over and they’re going to make us suffer for this. That’s right, I told you you’d never sleep soundly again. The electronics recycling problem today is very much like the paper recycling problem of the 1990s. I remember that at one point there was this real push to recycle so that forests could be preserved. Remember this was at the time that newspapers and books were still things that real people used. The problem was, the recycling process itself used toxic chemicals and it was so expensive that there wasn’t a market for recycled paper. It took about ten years for better processes to be developed and costs to come down. Today, almost every sheet of paper you see has some recycled content. How does that translate out to electronics recycling? We still have plenty of mercury, silicon, cadmium, arsenic and lead, so making new TVs from newly mined elements is still less expensive than stripping them from old electronics. Yet, there’s a lot of pressure to recycle electronics. The industry needs to work hard to come up with smart ways to recycle so that costs can come down. It’s already happened with aluminum, although this is a bit more of a challenge than just recycling cans. Still, someone has to figure it out because apparently there could be over half a billion TVs just waiting for a solution. Do you really need the DIRECTV RC72 Genie Remote? Do a public service to a friend or neighbor… look at his TV.